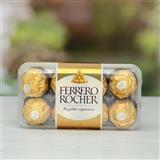 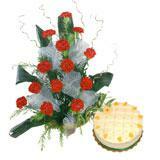 Make your dear ones in all cities in India feel special this festive season with an amazing variety of gifts. 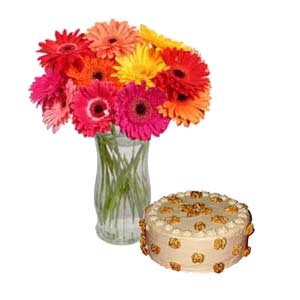 This beautiful combo gift consists of a vase full of 12 multicoloured Gerberas and 1 kg eggless butter-scotch cake. 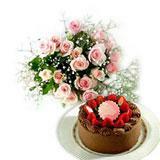 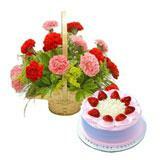 Send this mouth-watering cakes along with refreshingly bright flowers combo. 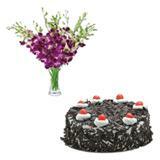 Along withthis combo hamper send other Gifts across India through GiftsAcrossIndia.com and make your dear recipient feel special.